1 2 Dictionary.com, "mind": "1. (in a human or other conscious being) the element, part, substance, or process that reasons, thinks, feels, wills, perceives, judges, etc. 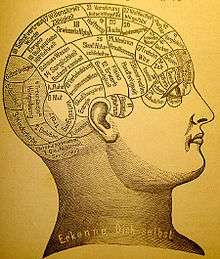 : the processes of the human mind. 2. Psychology. the totality of conscious and unconscious mental processes and activities. 3. intellect or understanding, as distinguished from the faculties of feeling and willing; intelligence." ↑ Google definition, "mind": "The element of a person that enables them to be aware of the world and their experiences, to think, and to feel; the faculty of consciousness." ↑ Başar, Erol (2010). Brain body mind oscillations in scope of uncertainty principle. New York: Springer. p. 5. ISBN 1441961364. ↑ Israel, Richard; North, Vanda (2010). Mind Chi Re-wire Your Brain in 8 Minutes a Day ; Strategies for Success in Business and Life. Chichester: John Wiley & Sons. p. 12. ISBN 1907321373. Retrieved 18 April 2015. 1 2 3 4 5 Karunamuni N.D. (May 2015). "The Five-Aggregate Model of the Mind" (PDF). SAGE open. 5 (2). doi:10.1177/2158244015583860. ↑ "'Enhanced nutrition of offspring as a crucial factor for the evolution of intelligence on land'". ↑ Hart, W.D. (1996) "Dualism", in Samuel Guttenplan (org) A Companion to the Philosophy of Mind, Blackwell, Oxford, 265–7. ↑ Dennett, Daniel (1991). Consciousness Explained. Boston, Massachusetts: Little Brown. ISBN 0-316-18065-3. ↑ Rosenberg, A. Irving (2013). MIND According to Logos: The Brain Reveals Its Own Secrets: What Neuroscientists Would Like to Know. CreateSpace Independent Publishing Platform. ISBN 9781482375053. ↑ Churchland, Patricia (1986). 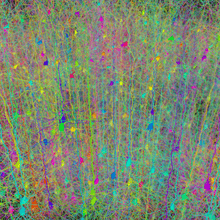 Neurophilosophy: Toward a Unified Science of the Mind-Brain. MIT Press. ISBN 0-262-03116-7. ↑ Churchland, Paul (1981). "Eliminative Materialism and the Propositional Attitudes". Journal of Philosophy. Journal of Philosophy, Inc. 78 (2): 67–90. doi:10.2307/2025900. JSTOR 2025900. ↑ Farah, Martha J.; Murphy, Nancey (February 2009). "Neuroscience and the Soul". Science. 323 (5918): 1168. doi:10.1126/science.323.5918.1168a. Retrieved 20 November 2012. ↑ Koch, Christof (July 2009). "Do Not Underestimate Science". Science. 325 (5939): 392. Bibcode:2009Sci...325..392K. doi:10.1126/science.325_392b. Retrieved 14 November 2012. ↑ Chen, Jing (2015). The Unity of Science and Economics: A New Foundation of Economic Theory. http://www.springer.com/us/book/9781493934645: Springer. ↑ Wheeler, J. A. (1979). "Point of View: Drive the Pseudos Out...". Skeptical Inquirer. 3: 12–13.